The chief judge in each circuit shall separately communicate to all trial court judges in that circuit the importance of a professional work ethic and accountability to the judiciary as a full-time commitment under the Code and the Constitution of Florida. This commitment includes the responsibility set forth in Canon 3C(1) requiring that a judge “should cooperate with other judges and court officials in the administration of court business.” Where a judge’s calendar allows, each judge should cooperate with other judges to assure that all cases and matters are handled as efficiently and expeditiously as possible. In addition, each chief judge shall take all administrative actions necessary to monitor the work of each judge of the circuit to ensure that appropriate action is taken in any case where a judge neglects his or her duties. As has been shown for a long time: Expecting any sort of responsibility from a chief judge in Broward County aside of the self serving type as epitomized by Weinstein, is sort of like expecting to catch a falling star. Hence, many of the judges in Broward resemble a bunch of fallen angels looking only for a soft spot to land unnoticed by the media and a fat pension. And we all know the mainstream media abhors accurate reportage of any of its public darlings unless its in the form of a plea to indorse more public incompetence! Lol CJ will fix it NOT! Who talks to Chief Judges that don’t like to work? doesn’t feren and Richards still have to show up to work. Have not seen Feren since he lost. Is Richards working? Grossman still collecting a check?? Do you really expect Weinstein to do anything to improve the judiciary while CJ? If he did, he’d be the only CJ to have ever done it! This is Broward after all where judges show up to work whacked out of their minds if they show up for work at all. Whiney is just riding it out like the rest. His biggest decision is where to snarf down lunch before calling it a day. I think Judge Weinstein needs to go. 4 years is enough. The last thing Broward County needs is a dictator. 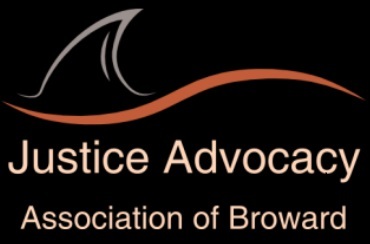 Judge Horowitz will bring a needed change and try to get ALL OUR JUDGES to work and as many as possible to pitch in consistent with the Order put out by Florida Supreme Court Chief Justice Labarga. Empty words from and empty branch of government in favor of the other two. Isn’t worth the paper it’s written or the cyber ink publishing it for al the world to laugh at except WE the Schtuped People who might still really believe there is some sort of truth and integrity in the judiciary–especially in Broward or PB.